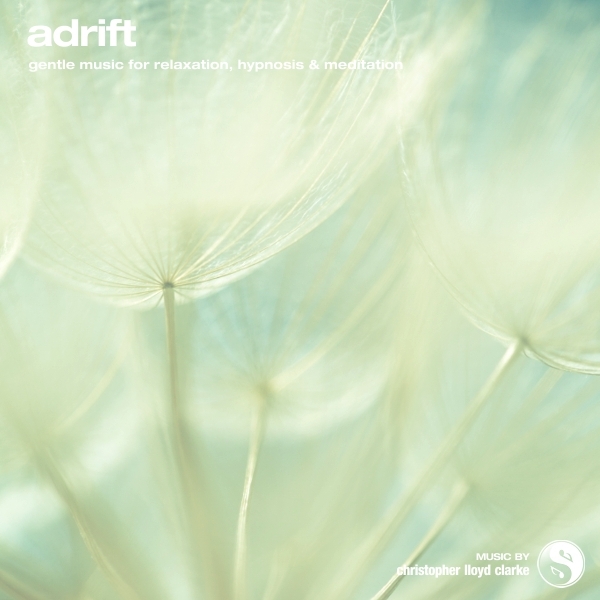 Adrift makes a wonderful backdrop to hypnosis, relaxation therapies and to audio productions that require gentle music that won’t take centre stage. No chimes, no pianos or extravagant instrumentation, no unexpected changes in volume or tempo; just a soothing musical experience that induces relaxation effortlessly. Adrift encourages the listener to loosen their mental grip on life. It tends to soften and dissolve analytical thinking processes and open up the mind to dreaming and subconscious exploration. Listen at a quiet volume with your eyes closed and enjoy. This royalty free music is also available with binaural beats. Adrift was designed to be "background" music, in the truest sense of the word. Right from the outset I was aiming for a very slow-moving, dreamy atmosphere that would provide just enough gentle stimulation to sooth the listener without taking over or becoming a distraction. Adrift is particularly well suited to hypnosis, either as background music in an audio production or in live use with clients. The music has a positive feel to it, but it's not overly jubilant. It's quite a subdued composition, simple in many ways, but it still has presence and weight. You might think that it would be easy to compose “simple” music like this, but in some ways it's harder than composing an orchestral arrangement. As a composer, I can't bear the thought of creating “boring” music, even when I'm trying to make music that literally puts the listener to sleep. As you might imagine, this presents some creative challenges! How can I create something special without resorting to flamboyant composition techniques? How can I create touching music without the use of crescendos or percussion, without exotic instrumentation and without any vocals? I can't bring myself to release new music unless it has a certain something that makes it unique and memorable. In the case of Adrift, that certain something is the way it blends soft, warm pad sounds with ethereal harmonics. It's this sonic balance that gives the music its personality, its identity. It can take quite a lot of patience to create music like this; not so much during the composition process itself, but in the tasks that I undertake before and after composition. I spent days exploring sounds before I selected the instruments that form the sonic palette of Adrift, and the shaping of those sounds once the composition was complete took longer still. It’s these little touches - that might go unnoticed to some ears - that give me a great sense of satisfaction. And that's my payoff - that feeling that I get from knowing that, no matter how simple a composition may appear to be, that it has integrity, that it has its own personality, and that when I listen to it a year down the track I can say to myself, "Yes - I really captured the sound and the feeling I was after." This music will never take centre stage. It will never win an emmy. You’ll never catch anyone humming it in an elevator or tapping their foot to it. But it will quietly go about it's job of bringing peace, harmony and healing to many people. I couldn't wish for more than that.